Intel Compute Stick – Great White North Technology Consulting Inc. 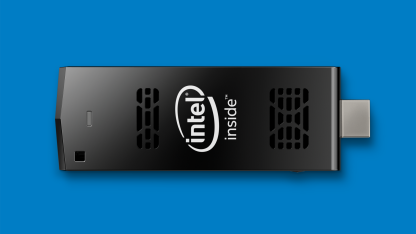 The Intel Compute Stick is finally here. This stick allows you to convert your HDMI compatible TV into a Windows 8.1 with Bing computer. It comes with a free upgrade to Windows 10. Upgrading to Windows 10 was very easy. I was surfing in no time.